I really like the goPure Naturals 100% Peppermint Essential Oil. It come sin a huge 4 oz bottle with a cap but also includes and eyedropper applicator, which I really like. I usually dilute this with water before using on my skin but I do know that it can be diluted and used with other oils. I also tried it when making lip balm and I have also mixed it with coconut oil. 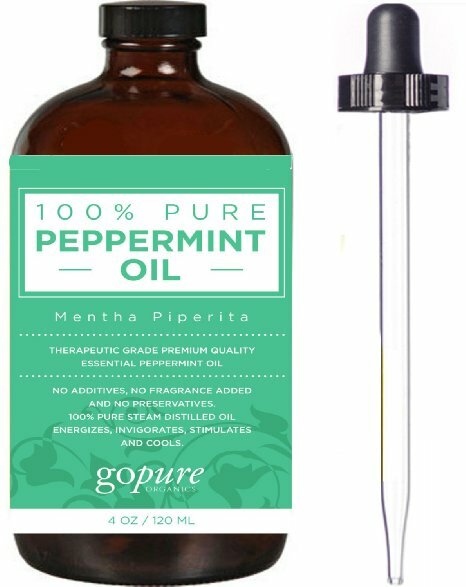 Another thing I found out is that Ants do not like peppermint oil and this product has really come in handy this Summer when we had ants come through our side door. I was able to get rid of them quickly with just a few drops. Soft Silicone Slow Feed Dog Bowl from My Lucky Pets Safe, Fun & Interactive! I have to admit that I wasn’t aware that if my dog eats too quickly..he is at risk of the chance of bloat and that it actually isn’t healthy for him to eat too quickly. But, I did know that my pup often eats super fast so I was more than happy to try this product. 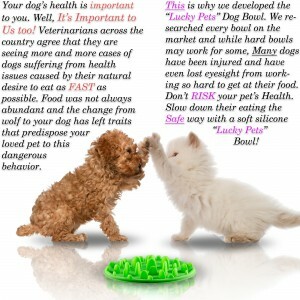 I really like that the My Lucky Pets Slow Feeder Dog Bowl is made from FDA approved food grade silicone. 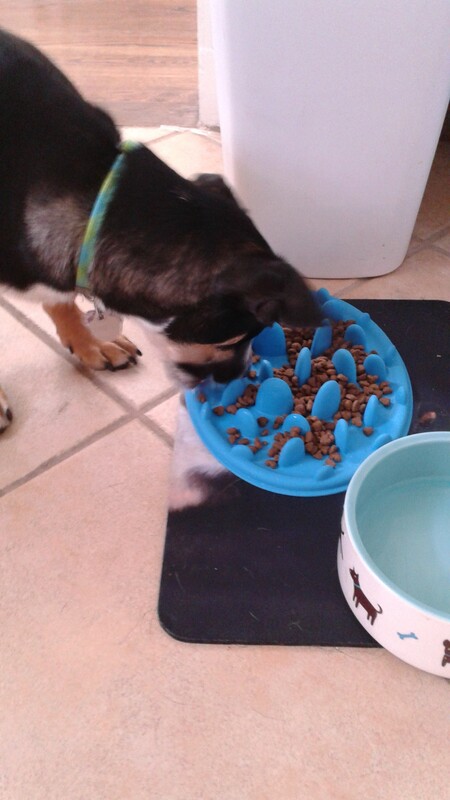 It is also super easy to use and is dishwasher safe, I have to admit, that at first my pup wasn’t too sure about it. It was like he was thinking, “Where is my bowl?” But, after trying it the second time, he actually seemed to like it! 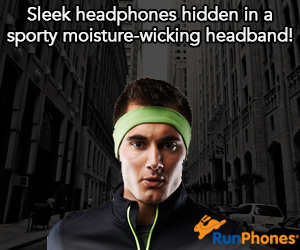 It also really works so that makes me happy! When we use this Dog Bowl. our pup actually eats slower. Self Disclosure: I received this product heavily discounted in exchange for an unbiased review. Any opinions expressed are my own. This highly anticipated superhero summer movie falls flat, unfortunately. The storyline, a reboot of Marvel’s most famous superteam, centers on four young outsiders who teleport to an alternate and danger universe which alters their physical form in shocking ways. Their lives irrevocably upended, the team must learn to harness their new abilities and work together to save Earth from a former friend-turned-enemy. KIDS FIRST! Film Critic Keefer B. comments, “ This is a disappointing film that has a riveting first half but a rushed and forced second half.” Brianna B., age 15 adds, “This film held my interest and makes me want to see other Marvel films. It’s definitely an exciting film.” See their full reviews below. This is a disappointing film that has a riveting first half but a rushed and forced second half. Four young minds create a machine that transports them into a alternate universe. Once they come back they have acquired unique powers that they need to control. My favorite character is Reed Richards/Mister Fantastic (Miles Teller). Richards is one of the people who help build the machine. He ends up getting the ability of an elastic body which means he can stretch any part of his anatomy. Miles Teller has been on a roll with his career and for good reasons. He’s a talented actor who dives deeply into the characters he plays. This part is no exception. The moral of the film, though a bit forced, reminds me of Abraham Lincoln’s quote, “A house dived against itself cannot stand.” The four heroes face Victor Von Doom (Toby Kebbell) and attack him individually. Soon they realize, that together, they are stronger. I give this film 3 out of 5 stars and recommend this to 10 through 18-year-olds. There’s some dark material and language that younger audiences may not be able to handle. This film has some saving aspects but sadly, they do not recover the whole film. This film is in theaters August 7th. 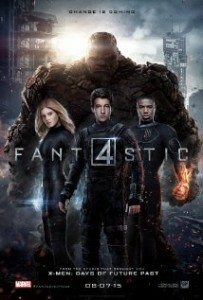 Marvel’s Fantastic Four, fills itself with great action, in depth special effects, and a talented cast. This film held my interest and makes me want to see other Marvel films. It’s definitely an exciting film. The special effects, clarity and attention to detail is outstanding and I really enjoyed watching it. There is a sense of togetherness that you feel from the four main characters throughout their journey. They are working together for a common goal. Even though I haven’t seen most of the other Marvel films, I still understand what’s going on and can easily follow along. I also enjoy the different abilities the four main characters possess. If I had to choose out of the four powers to be my favorite, I would definitely pick the ability to become invisible, because there is so much you could do with that. I’m sure it would be a lot of fun. Something that I didn’t enjoy is the slowness in the first half of the film. I feel as though the beginning of Fantastic Four ought to be shortened down to the essentials and another part should have more action in it, making it closer to what I’m anticipating from watching the trailer. However, the length of the film is good where it’s not too long for you to get bored and not too short where you would want more. Fantastic Four is in theaters now, so please check it out. Credit: KIDS FIRST! Coming Attractions, www.kidsfirst.org. Looking for a fresher cup of coffee? This one is a must-try! I love that this is a light roast that is actually slightly between a light and medium roast. 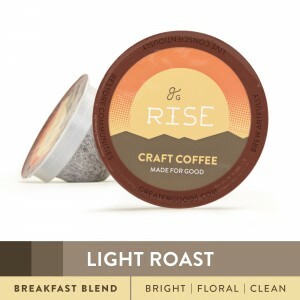 Often a light roast is a bit too light for me but I loved this one! I love the fresh, clean flavor! I also prefer the C-pods over the typical K-cups that I often purchase. They worked perfectly in my iCoffee maker and assume that they would also work well in the Keurig makers. I was quite impressed with the fresh taste and I really think that the C-pods make for a fresher cup of coffee. Greater Goods is a proud supporter of Pure Earth, an international organization that is working to identify and clean up toxic pollution in the poorest communities throughout the developing world. 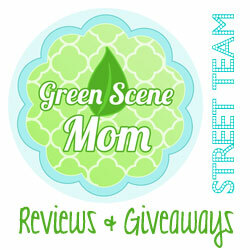 Self Disclosure: I received a free sample in exchange for an unbiased review. Any opinions expressed are my own. New Dog Leash – Black – Tough Extra Long 8 Foot Lead – Double Handle for Greater Control and Safety A Must-Have for Dog Owners of Medium and Large Dogs! Looking for a leash that can be longer so you can run with your dog but can also be shorter when necessary? I really think that this dog leash by Primal Pet Gear is a Must-Have for dog owners of medium-sized and large dogs. I was actually quite surprised and impressed with how well this one works. Honestly, I really wish all dog owners (especially those with large dogs) would buy one of these. Since becoming a puppy parent, I have seen a few dog owners with larger dogs. Unfortunately, we had one try to jump my dog. Both were on leashes and the other owner had a retractable leash and could not control his dog. I honestly think that if he had this leash, it would have been much more helpful! 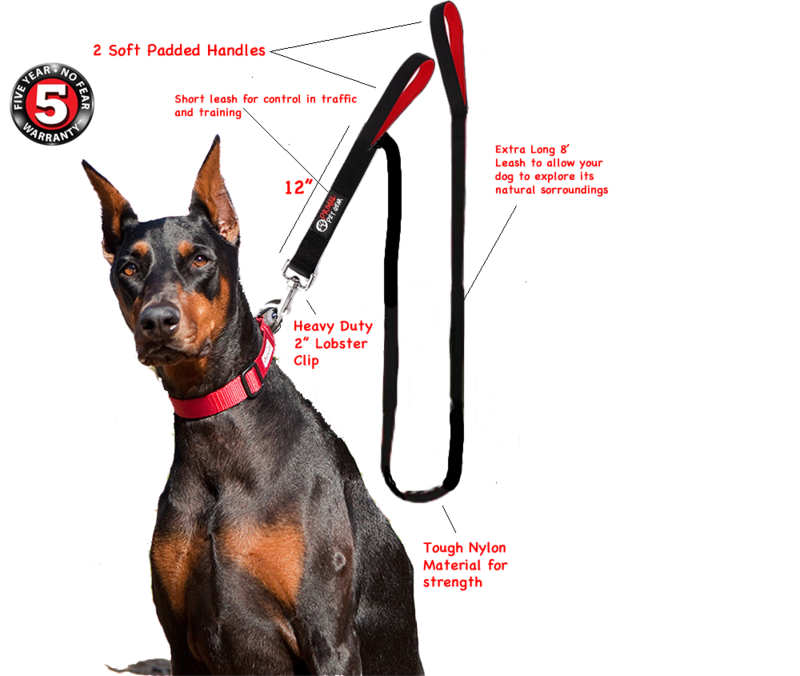 This leash is also great for dog training since it has the two handles. One is at the end of the leash (8 ft) and one is at 1 ft from the clip. I also really love that there is soft padding on both handles. I really like the two handles because there are times when I need to slow down with my medium-sized puppy and there are other times that I love to let him have more freedom on his leash. I also like that the leash is very sturdy. 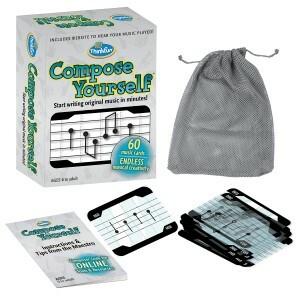 Self Disclosure: I received this product at a discounted price in exchange for an unbiased review. Any opinions expressed are my own. This product exceeded my expectations and I highly recommend. 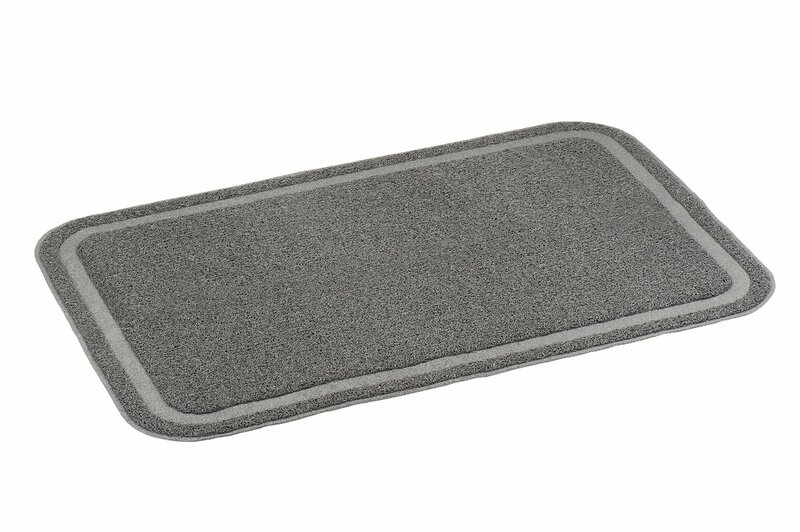 Snug Cat Litter Mat is a Must-Have for Cat Owners!